Home to Old Faithful, Yellowstone National Park was the first national park in the US and is considered the first in the world. 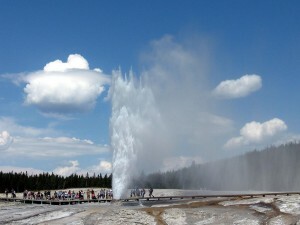 Located primarily in Wyoming Yellowstone is best known for its geo-thermal activity that include 300 geysers. There is a $25 Vehicle Entrance Fee.